A few weeks ago I won the second traveling charm pack started by Karen. Diane at from blank pages started the original swap, and Karen decided we needed a second charm pack circling around. I won the pack all the way from Quebec at Marika’s blog. As she says in her winner post, I’m very lucky at her site because this is the second giveaway I’ve won there. Well now it’s your turn for a shot at this little bundle of fabric. The rules are that you receive this package of 5 inch charms and you can choose however many suit your fancy, but they must be replaced with high quality quilt store cotton charms from your own stash. You must also be an active blogger in order to create a giveaway of your own and to keep the chain going, you must be willing to ship to both the US and Canada. 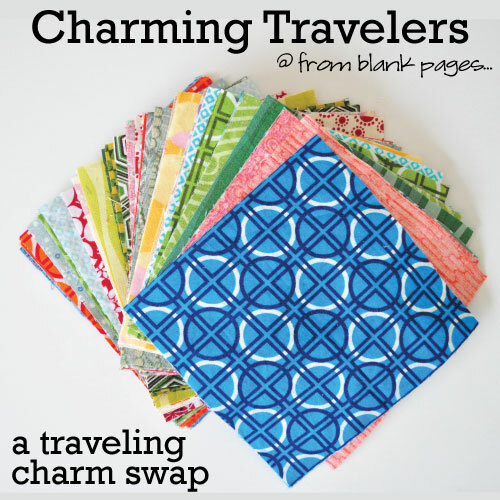 Also be sure to update the Charming Travelers page with your location if you win! So, now that all of the fine print is out of the way, if you want to win this cute little bundle (and I’m just saying that I might be adding some HTF designer charms. wink wink) just leave a comment on this post. Entries will be open until 10pm (Central) on Tuesday, July 3. I will draw a winner via random.org on Wednesday, July 4! Good Luck! Quite some time ago I mentioned that my sewing space had been usurped by a certain small human that lives with us. I moved everything up into our loft, which was formerly the TV room. Now it’s the TV and sewing room. Unfortunately, pretty much none of my storage solutions or furniture transferred up into this much smaller space very well, so we had to hunt for new furniture and I had to try about about 30 different storage solutions before settling on one that seems to be working for me. We bought this little desk at Furniture in the Raw after 2 failed attempts to find something on craigslist. Of course, that meant that Chris had to finish it, but to his credit he got it done very quickly. The 2 “drawers” on the right are really a keyboard tray which is still where I store my thread tray and bobbins. I really like having them right there within reach, but completely out of sight so that I don’t have to look at the little hanging threads everywhere. The drawer on the left is holding all kinds of odds and ends… including stuff of Alexis’ that I have asked her to pick up too many times to count that I finally pick up and hide in there. Hee hee. I’ve never had a pressing table within arms reach of my machine, but after a recent bout of tromping back and forth with the boot on to iron every other seam, I decided to move things around to make room for it. Sigh. This is another of those things that I can’t figure out why I didn’t try it earlier. Sure, the iron takes up (valuable) space on my (very small) desktop, but the convenience is just amazing. A couple of weeks ago we made the trek to IKEA to pick up this new “entertainment” center. 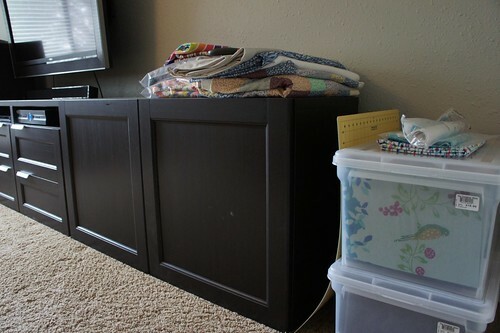 Ok, it’s really a “sewing junk” center with a few drawers for DVDs. Originally, we’d planned to put built in cabinets all along that wall (which has just attic space behind it) and maybe that will still happen long term, but the mess and the mismatched oversized furniture that was there before was bugging me enough to spend the cash on these new storage units. On the inside, you can see I have my fat quarters and fabric scraps all neatly stored in bins on the left side of the cabinet, and my notions and WIPs and batting scraps on the right. 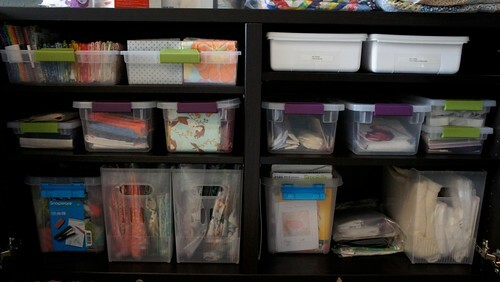 My main fabric stash is in the two file bins you see in the photo above (actually there’s a third, but it’s fabric I rarely use like polar fleece and some garment and home dec fabrics so it’s hidden away in a closet). I’ve hung each piece that is 1/2 yard or larger on a hanging file folder. It’s really easy to flip through them and find what I want. I had to really pare down the stash and tools, etc to get everything moved up into this small space, but I don’t think I actually sacrificed anything I can’t live without. In fact, I’m not sure I have (yet) missed anything that I’ve gotten rid of. So there you have it. Our finally less cluttered loft and my “new” sewing area. I really hope this is the last time I have to move it for a while. 3 iterations is just too many. 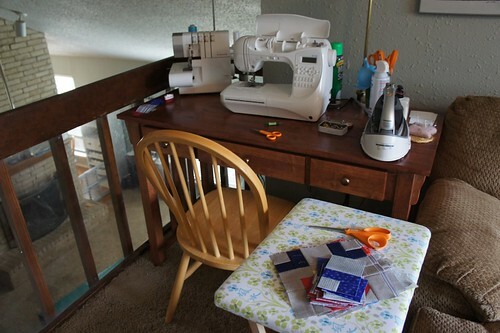 Of course, I’m not saying that I wouldn’t be thrilled at the prospect of building a studio all my own, but for the time being, I actually like being able to sit up there and sew while the rest of the family watches TV… They probably feel otherwise. Especially when I floor the sewing machine pedal over 4 layers of denim. I’ve been a bad girl. That’s right, I’ve been sewing with my “bad” foot. Hey, one of the exercises I’m supposed to do involves pointing and flexing my foot… so pushing the pedal counts, right? Anyway, here’s a shot of one of the things (one of many) on my sewing table. It’s going to be a quilt for the boy child. I haven’t worked on it much in the past few days though… I’ve got another deadline on my plate, but I’ll let you know more about that in a few days. March was my month in the Dream circle of do. 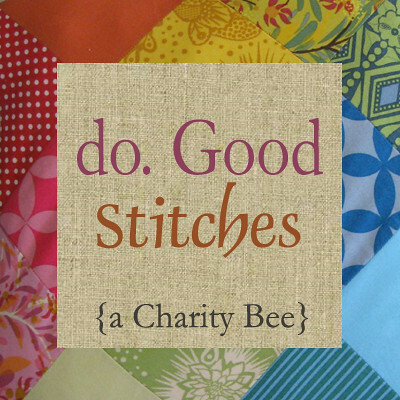 Good Stitches to be the quilter. That just means that I got to pick the block everyone made, and then was the person responsible for putting the final quilt together and getting it sent off to our charity, Project Night Night. 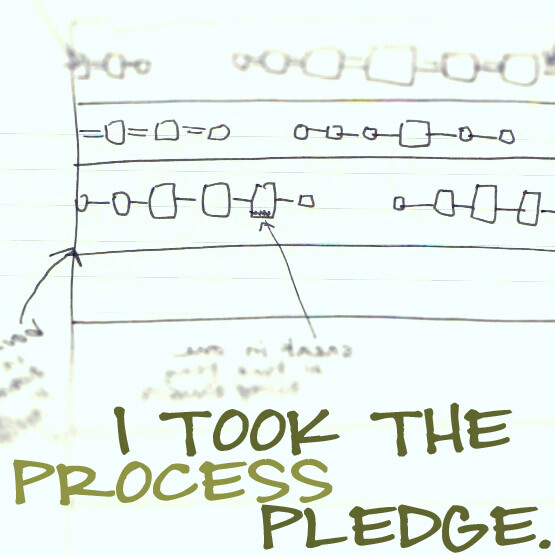 For March, I chose to do the string block that Ashley demonstrated on her blog ages ago. 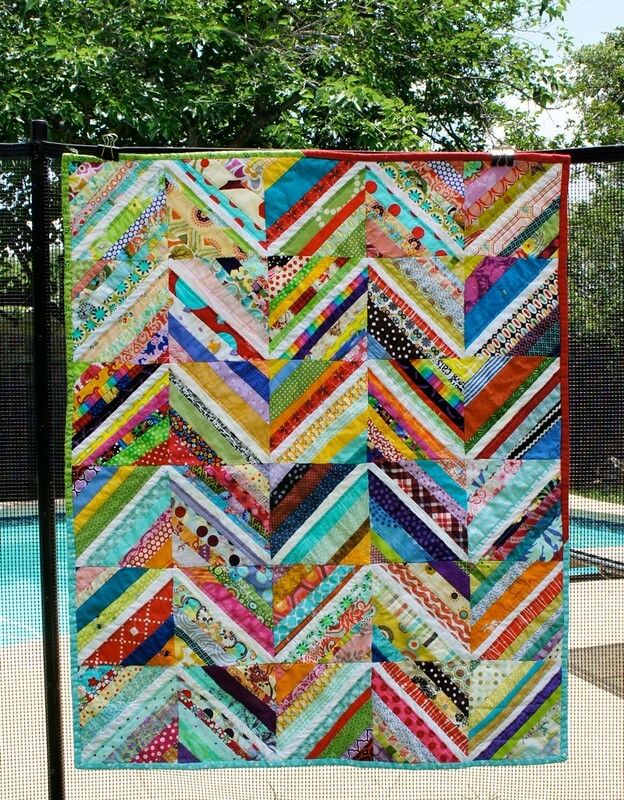 I really love the white line down the center, it seems to tie all the blocks together even though they are made from so many fabrics. 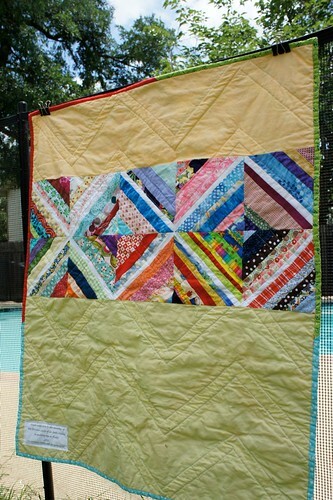 I decided to alter the layout in this quilt to get a more “chevron-like” pattern. I like it, but I think if I were to do it again with this type of block I might make the white “centers” a little less centered so they could come to points. I quilted it 1/4 inch from the white center lines for a nice wide zig zag. The quilting shows up wonderfully on the back and I really love it. Binding was a big headache! I had no idea how to bind it without it looking really really busy. After many suggestions from a lot of wonderful ladies, I ended up going with bright prints. 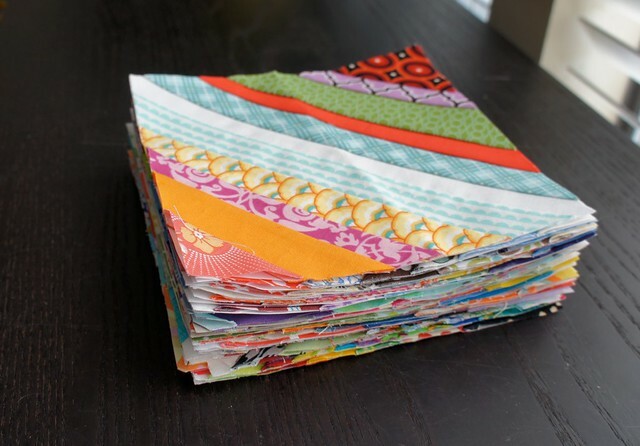 I used 3 leftover pieces of binding from other quilts. The scrappiness of it just goes… you know? I forgot to add the label before I basted and quilted, and so I attached it after the fact. The front has so much going on though, that you almost can’t see the stitching line. 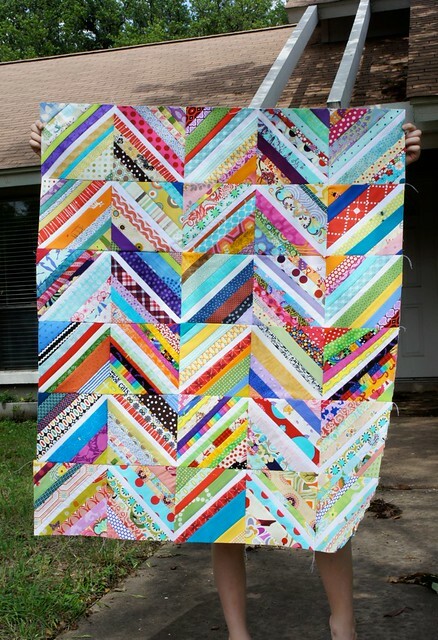 It’s going to be really hard to let this quilt go… She’s definitely one of my favorites! But I know that the child who receives it will need it far more than I do. I hope it brings security to that little person in their time of need. 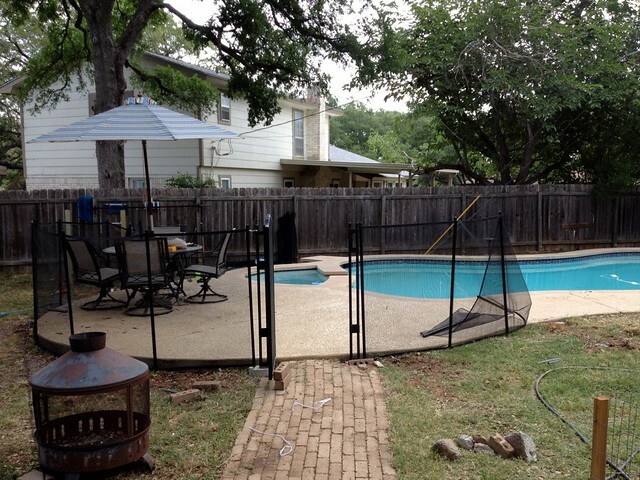 We added a pool fence to keep the boy out… Now he can run around the backyard without one of us chasing him constantly! The garden is producing! 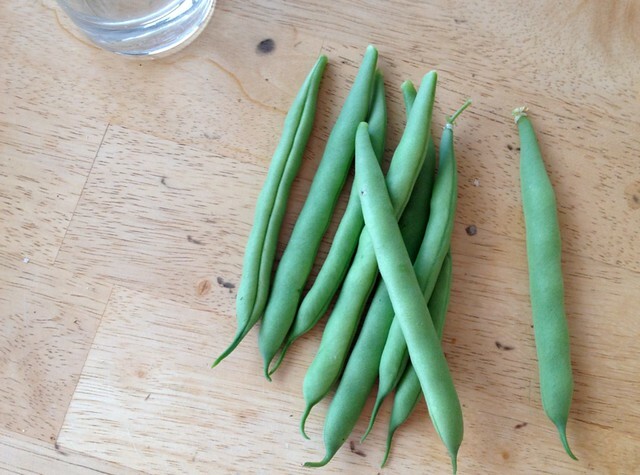 This is our very first harvest of beans, but we’re wondering if anymore are coming. The bean plants don’t look so hot. But the tomatoes are taking off! I can hardly wait for them to ripen. April’s Do. Good Stitches block. Lindsay chose the knee socks block but using colorful solids and prints. 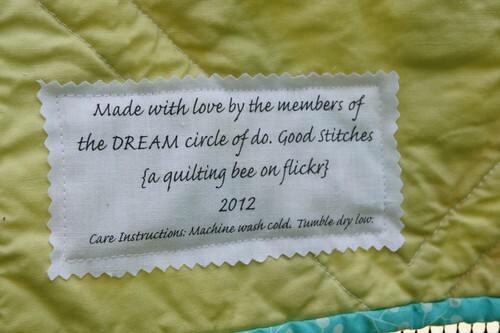 I can’t wait to see the quilt! 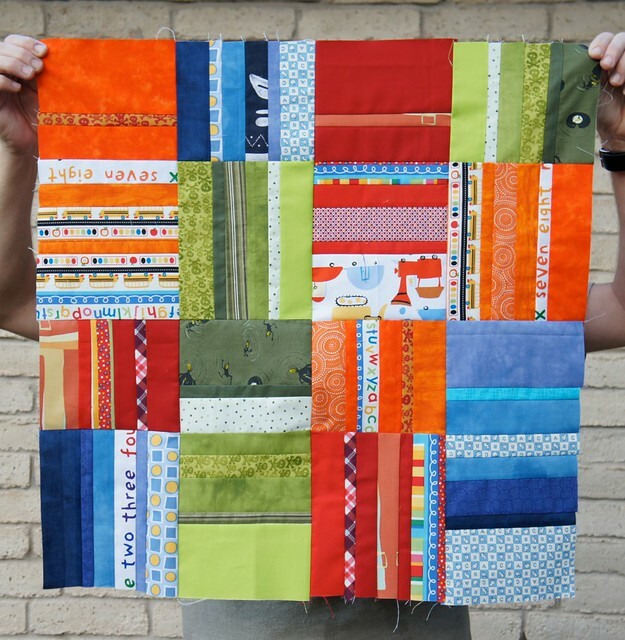 March was my month to be the quilter for Do. Good Stitches, and I chose Ashley’s String block. Though, I also chose to lay them out in more of a herringbone pattern. I have the whole thing quilted now, but I am stuck on the binding. If anyone has suggestions, I’m open! 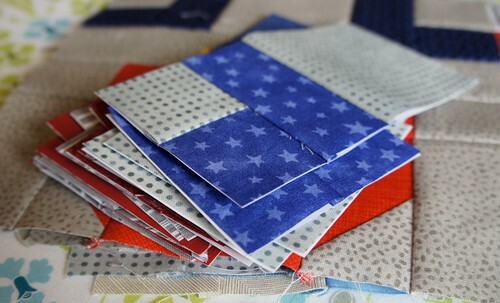 And stay tuned… I have a bit of my Mendocino Madness planned for Sew Mama Sew’s May 2012 Give Away Day!